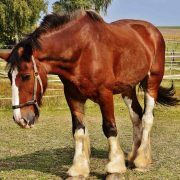 For our latest post, we decide to go through some reasons why a horse can refuse to load onto a float, truck or trailer. More often than not, it is fear based, not defiance. Work positively with the fear, and you stop the refusal. They don’t want to leave the security of their paddock and paddock mates. This is a common thing if your horse is travelling by itself. 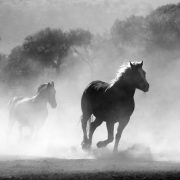 In their natural environment, horses will stick together in their movements. To them, it can be a big ask for them to leave their paddock without their mates. Your relationship with your horse is a key thing here, if your horse doesn’t trust you to be his leader, it makes everything more uncertain for him. Fear of the float or truck. We have all heard of those awful experiences with horse transport. 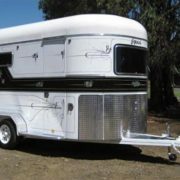 Whether something has spooked the horse while they are in the trailer, or whether careless driving has been the cause to instill fear into your horse. Loading horses who have previous travelling trauma requires a great deal of patience, and time in order to build their confidence again. Forcing a scared horse into a truck without considering the back story of why they have this fear, will not improve them travelling in the future, even if it is event free and they arrive safely. Your horse doesn’t trust the condition of the truck. 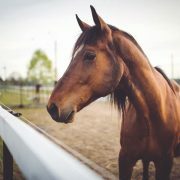 Horses have a sixth sense about things, and if they have loaded happily before, and have not experienced any bad incidents that you know of, check the overall safeness of your float or trailer. This may be the condition of the float floor (no firm grip) and the ramp, and the tyre pressure. 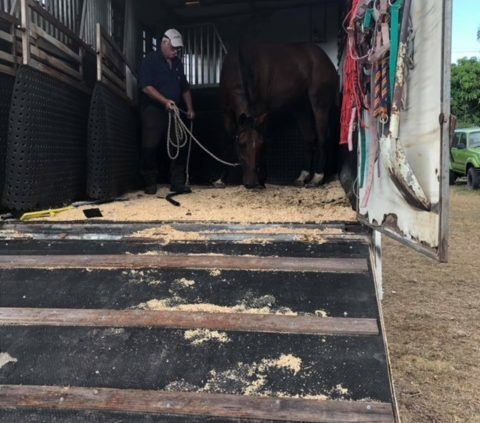 It just might be that it’s an unfamiliar place, eg a horse that has only travelled on a truck may think twice about the added confinement of a float. Once again, time and patience are key. 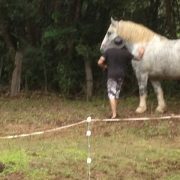 The horse doesn’t trust people so won’t follow you into a claustrophobic looking place. Inevitably, there will be unhandled horses that require horse transport from one place to another. When you have a means of controlling your horse with a halter, such a concern with humans in their mind can be dealt with. Fear of people can also be shown as disrespect and defensive behaviour. Most likely the commonest signal of mistrust is displayed as the refusal to move forward when you ask. Harsh consequences are not the answer. However, building a positive relationship with the horse is, even if it’s only you giving them confidence and displaying leadership. 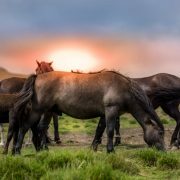 Horses are very smart, and it doesn’t take them long to recognise a pattern of events leading up to the end of the trip. 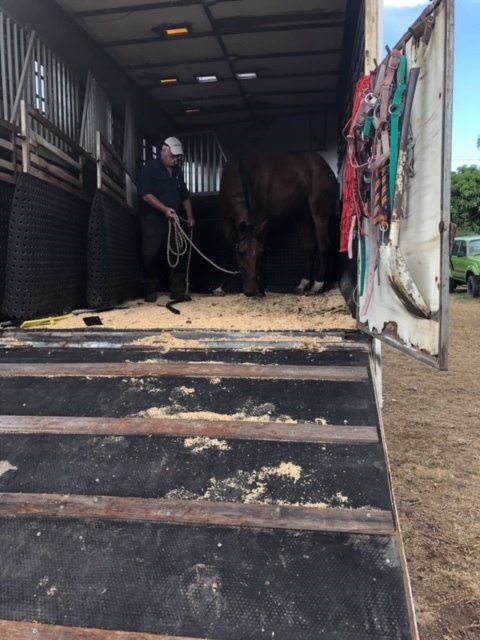 Once a horse has clued on to the fact that going on the truck will end in an event that stresses him or he knows he will be made to perform something he doesn’t want to do physically or emotionally, he will recognise the transport being the key cause that takes him there. It can start off as a reluctance to load into your transport. If not recognised and addressed, it can turn into a refusal to be caught in the paddock. These are just a few of the reasons why a horse can refuse to load into your horse transport. 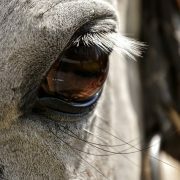 At East Coast Horse Transport, we take the time to build confidence in your horse. This lets them know that we are not out to punish them in any way, and they’ll be safe with us. There is very rarely any instance where we refuse to transport a horse. If you know of potential issues, it is best to let us know as soon as possible. Doing this means we will make the trip as safe and comfortable as possible. This means you as the owner, as well as your horse! Contact us today via our Facebook or by phone on 0401 652 438 for local QLD destinations, or 0412 233 083 for interstate travel. 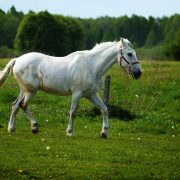 Why is East Coast Horse Transport the best? Changes at East Coast Horse Transport Large Horse Transport? Yes We Can!